Why did Ancient People Believe the Earth was the Center of the Universe? Who proposed the geocentric model? What were the arguments against heliocentrism? When was the last argument against heliocentrism answered? Ancient people, like modern people, generally, took their views from whatever was the popular “expert” opinion and the “expert” opinion was that the celestial bodies orbited around the Earth. 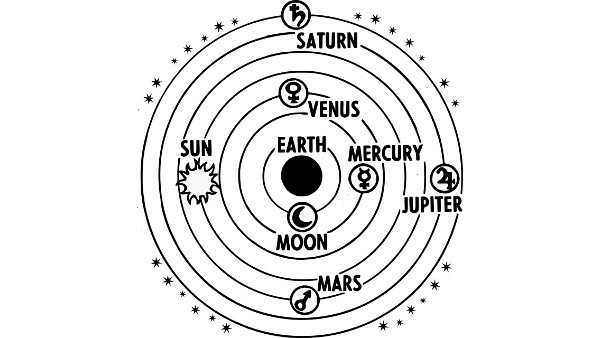 The earliest geocentric model is, probably, the one proposed by Anaximander in ancient Greece in the 6th century BCE. It was refined by Plato and Aristotle and got its final word with Claudius Ptolemy in the 2nd CE. This model was chosen because it was the one that best fit all the observational data and just made sense. If the Earth is moving, why don’t we notice it moving? We notice movement when walking, riding in a cart, or sailing on a boat. If the Earth is moving, why isn’t there a constant wind as the Earth moves through the air? Using Aristarchus’ calculation of the distance to the sun, the Earth would need to be moving at approximately 6000 Km/h (3600 mph) in order to complete one orbit every year. This would make for a very strong headwind. If the Earth is moving, then why do objects fall straight down? If the Earth was moving, then a dropped object would still fall straight down, but during its fall the Earth would have moved and it would land in a different spot from where it was released. If the Earth moves around the sun, then why don’t we observe parallax (small shifts) in the position of stars from one end of the orbit to the other? You can easily observe parallax by holding a finger before you and then alternately close one eye and open the other. You will see your finger shift from side to side. It wasn’t until the 17th century, when a better understanding of physics was being developed, that Ptolomey’s objections to heliocentrism could begin to be answered. Isaac Newton’s work on the Laws of Motion and Gravity helped to give the heliocentric model more credibility. However, Ptolemy’s final objection, the parallax of stars, was not overturned until the 19th century, when Friedrich Bessel observed parallax for the star 61 Cygni in 1838. While this article takes a predominantly “Western” view on the history of geocentricity, the Chinese1 also independently developed a geocentric model similar the Ptolemaic one. The ancient Hindus2 also used a geocentric model for calendar calculations. Having survived for over 2000 years, the geocentric model was very successful.